I am delighted to announce today a project that’s had to be kept under wraps till now: the picture book Join the Armidale Parade, text written by me, gorgeous illustrations by talented local illustrator Kathy Creamer, and published by local publisher Little Pink Dog Books. Look at the gorgeous cover! 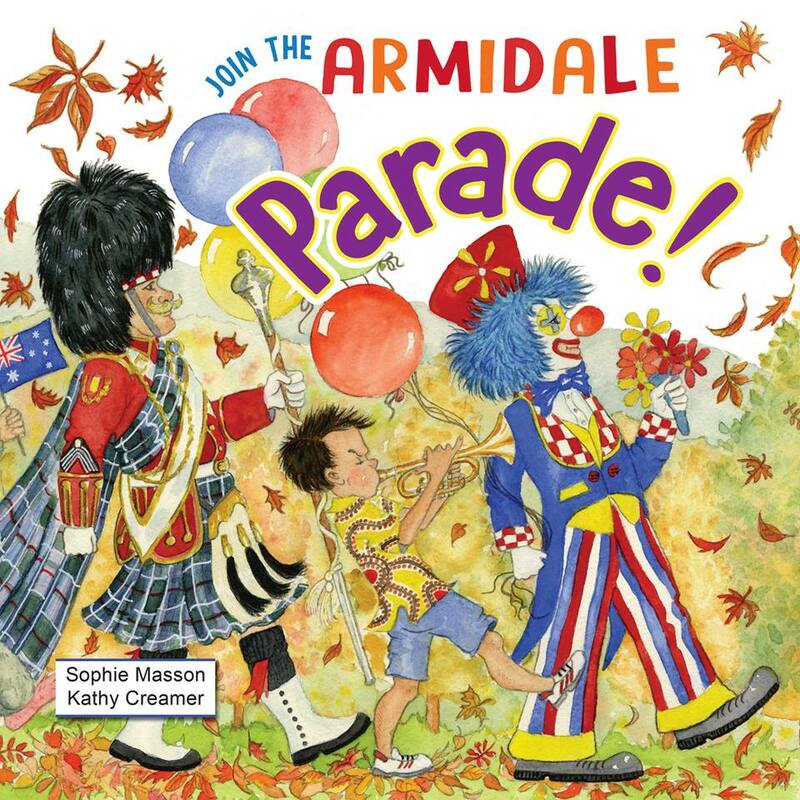 Commissioned by Armidale Regional Council, Join the Armidale Parade is a fun picture book for children and families, celebrating the beauty, diversity, colour and vibrancy of our hometown of Armidale, in northern New South Wales. 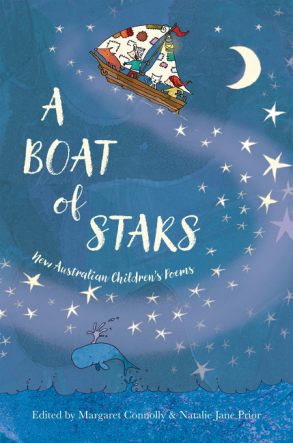 My story, told in bouncy verse, is focussed around a little girl whose family has recently moved to Armidale, and who takes part in its colourful annual parade, held in the autumn. And Kathy’s created the most fabulous illustrations, full of fun, humour, joy and plenty of Armidale landmarks and references:-) It’s a book that can be enjoyed by both locals and visitors, and even those who may not know Armidale but can appreciate the fun and warmth of a festival parade. It’s, I think, the first time that a picture book for children has been set here. 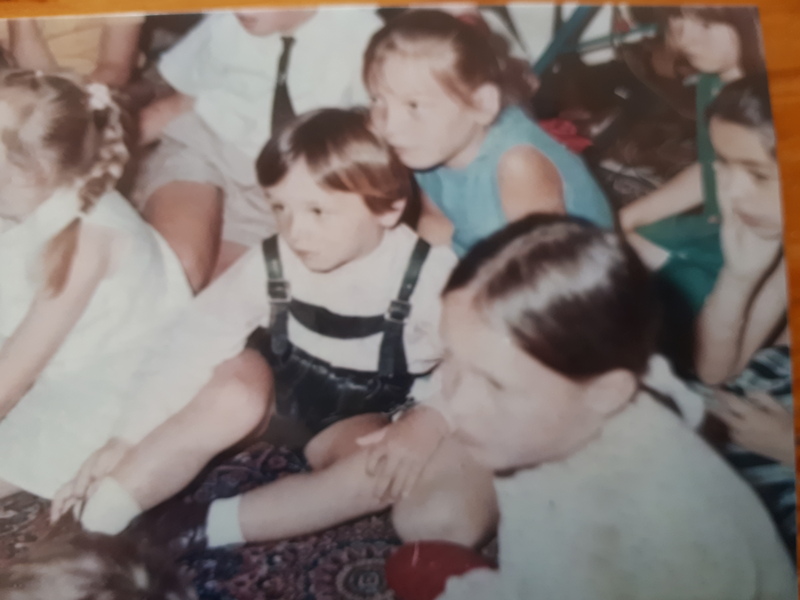 Although I was brought up in both France and Sydney, and my husband David in the UK, we have lived in this region for a long time now, built a house and brought up three children here. Although I’d had a few short pieces published before I came to this region, my writing career properly took off here, and all my books have been written here. 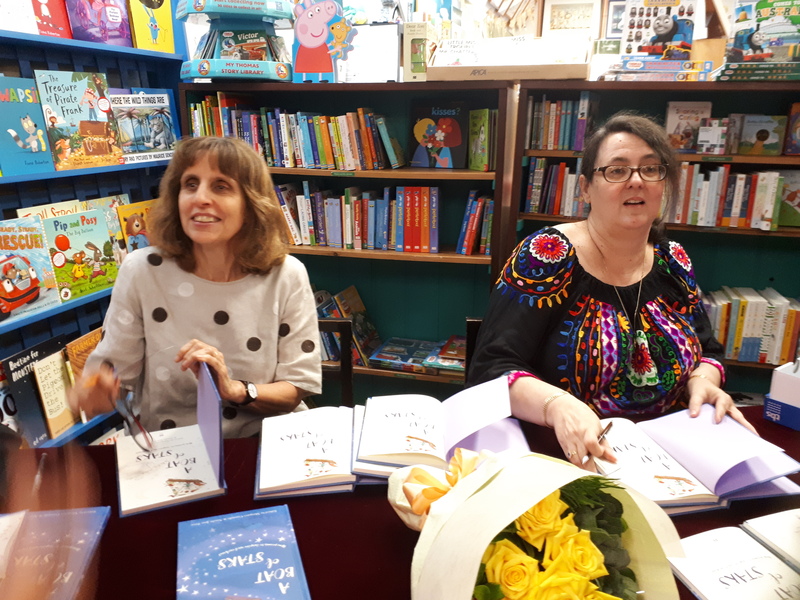 I’m delighted to have been able to collaborate with Kathy, Little Pink Dog Books and Armidale Regional Council in Join the Armidale Parade, a book that pays tribute to a beautiful, creative and friendly town. The book will be published on May 1. 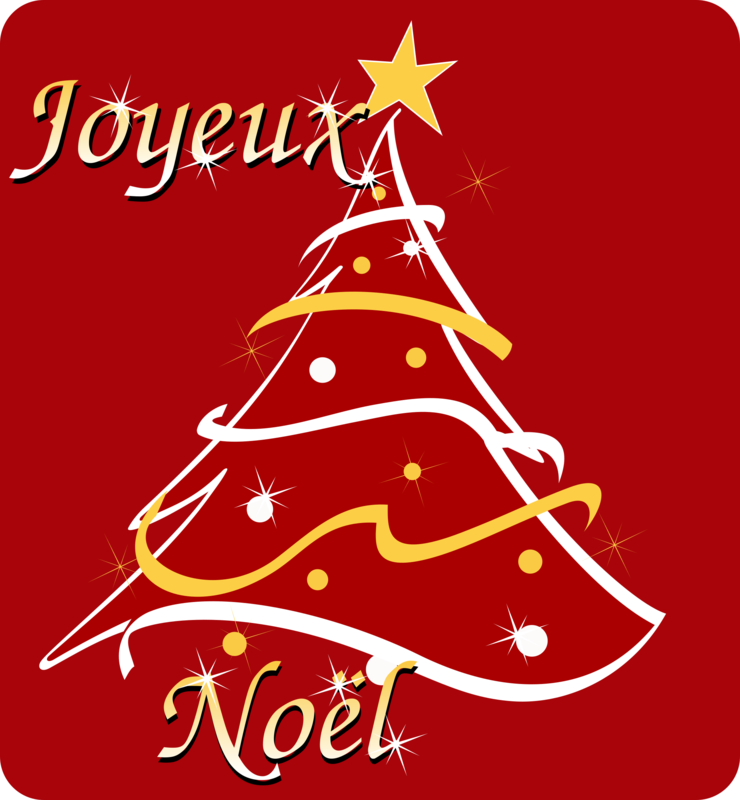 Last year, at this festive time, I republished a piece I’d written in English and French for a magazine, about my childhood Christmasses. 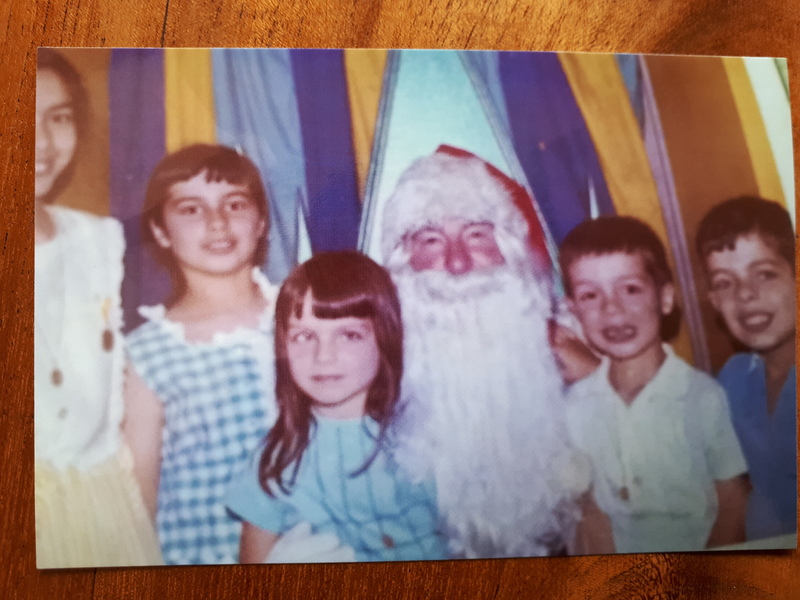 This year, as a favourite Christmas memory, I thought I’d offer instead a magical Christmas story, The Dolls’ First Christmas, which was published in the Random House Australia anthology, Stories for Seven Year Olds(, edited by Linsay Knight, 2014). It was inspired by my very talented friend Fiona McDonald giving me a beautiful handmade doll she’d created–and who I immediately named Esmeralda, after one of my favourite characters in a favourite childhood book of mine, Le Capitaine Fracasse, by Theophile Gautier..
Hope you enjoy–and the very best of wishes to you all for the festive season! Christmas Eve in the toyshop. In Miss Jeffries’ toy-shop, the last delivery had just arrived. Teddy-bears and tin toys. Puppets and pull-alongs. Rocking-horses and doll’s houses. And Esmeralda. Gloria, haughty queen of the dolls in Miss Jeffries’ toy shop, sat on her glittering throne in the window. Everyone gasped when they saw Gloria and said how beautiful she was. But no-one had bought her yet. She was too special. She cost too much. Esmeralda was beautiful too, but in a different way. Her hair wasn’t golden, like Gloria’s, but black, in great long curls. Her skin wasn’t peaches and cream, like Gloria’s, but honey and tea. Her eyes weren’t sky blue, but nut-brown. Her stripy dress was splendid—but she did not have elegant satin slippers, like Gloria. Her feet were bare. But can two queens really be friends? Gloria didn’t think so. Esmeralda didn’t think so. Each thought she was better. Each sat in her splendour and looked haughtily away and thought she would be the first to go. It was a long busy day. Sarah and Clara and Laura and Donna left and two boy dolls and six tin toys and eight teddy-bears and three puppets and two fairy dolls and a mermaid doll and two clowns and four baby dolls, plus a brace of Barbies. But not Gloria. And not Esmeralda, either. Poor Gloria and Esmeralda! They had been made with such care. Their dresses were hand-stitched, their hair hand-knotted, their faces hand-painted. They’d been made to be loved. And now here was someone saying they might just be thrown away, like some cheap, broken factory toy. Dolls may not talk in words and their red satin hearts may not beat but they have other ways of communicating. Gloria and Esmeralda sensed each other’s fear. At first, each thought it didn’t matter. Whichever doll Cherie liked best would be safe. 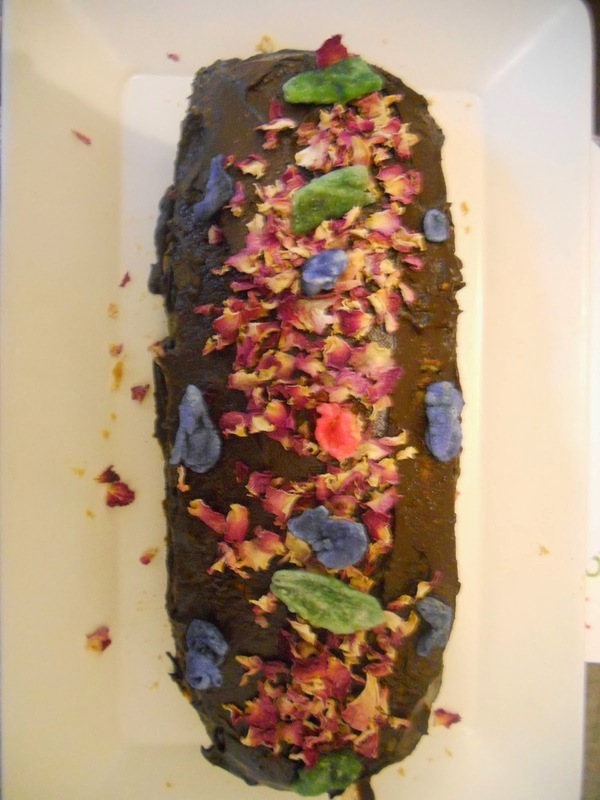 But then– what if Cherie got sick of her? She might be worse off, then. While the other one might have gone to a good home. To a little girl who loved her. Most dolls are airheads, the space under their pretty china or plastic skulls quite hollow. But Gloria and Esmeralda had cloth faces, pulled tightly over wads of stuffing. In the middle of the stuffing, each had a long, bright pin, left in by mistake. So their thoughts were sharp and they each thought the same thing at the same moment. They were queens. Snow queen, sun queen. They might not be friends, but sometimes queens put rivalry aside for the good of all. They would do something together, not apart. But how? At the Darling mansion, the man gave the boxes to the housekeeper. She took them to a room where a tall, twinkling Christmas tree stood, with piles of presents under it. The housekeeper shook her head, sadly. ‘More things going to waste on that spoilt child,’ she said. The dolls lay under the tree for hours. No clever ideas came to them. Soon, they knew, it would be too late. Now all toys, no matter how new, know what happens Christmas night. So Esmeralda and Gloria knew the grumbler wasn’t Mr Darling, or any of his staff. It was that jolly visitor, come from a magical world, whose job is to give every child in the world a present. The humans call him Santa Claus. And with that, he was gone. The dolls heard the clatter of his reindeer’s hooves on the roof, then nothing. They waited in the warm piney darkness, filled with hope now. ‘Yes, Daddy.’ A thin, flat, voice. Gloria and Esmeralda were afraid again. This child would not love them, no matter what Santa Claus said. All was lost. Next thing, the wrapping-paper was roughly ripped, the lids of the boxes pulled off, so quickly that the dolls flipped helplessly out, onto their faces. ‘Oh, nothing’s good enough for you, I’m tired of it, tired, do you hear!’ yelled her father. And he went out, slamming the door. Cherie glared at the dolls. She picked them up, roughly. Gloria and Esmeralda thought their last hour had come. They would be torn limb from limb, their bodies shredded, their heads wrenched off. But as they helplessly looked up they suddenly saw in the child’s eyes, under the anger, a sadness that made their red satin hearts clench and their sharp minds ache. In that instant, something warm and golden and loving flowed from the dolls to the child, seeping into Cherie’s unhappy, lonely eyes. She stared at them. Her lip trembled. 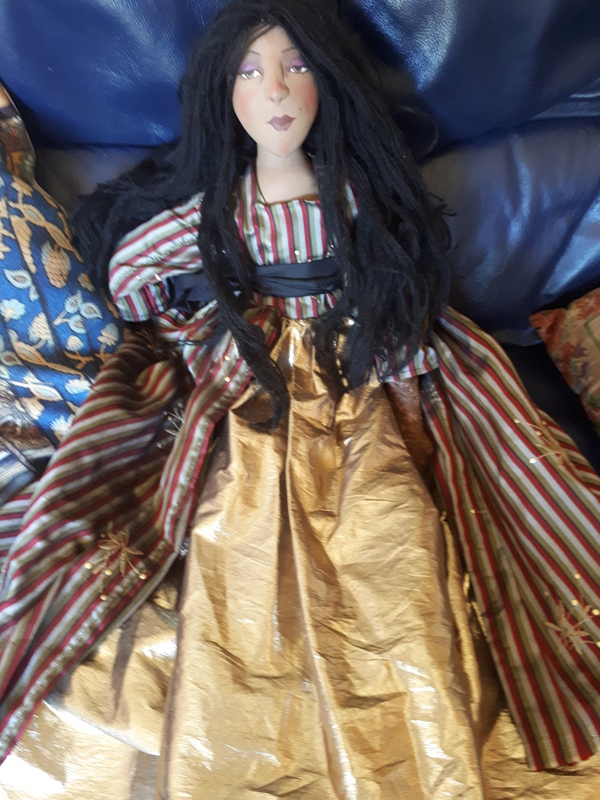 She said, faintly, ‘I don’t like dolls..’ Shyly, she touched Esmeralda’s hair, then Gloria’s. She stroked their clothes. She held a doll in the crook of each arm. She whispered, ‘Most dolls are stupid,’ but then added, ‘not you,’ softly. That is how Mr Darling found them when he came back, ashamed of shouting at his daughter on Christmas Day, wishing that he’d chosen her present himself, telling himself that he must try and understand, even if she made it hard. And as Mr Darling sat happily with his daughter, Gloria and Esmeralda lay happily in her arms. Can two queens really be good friends? Why not? Anything was possible, on this beautiful Christmas morning. First advance copy of See Monkey! 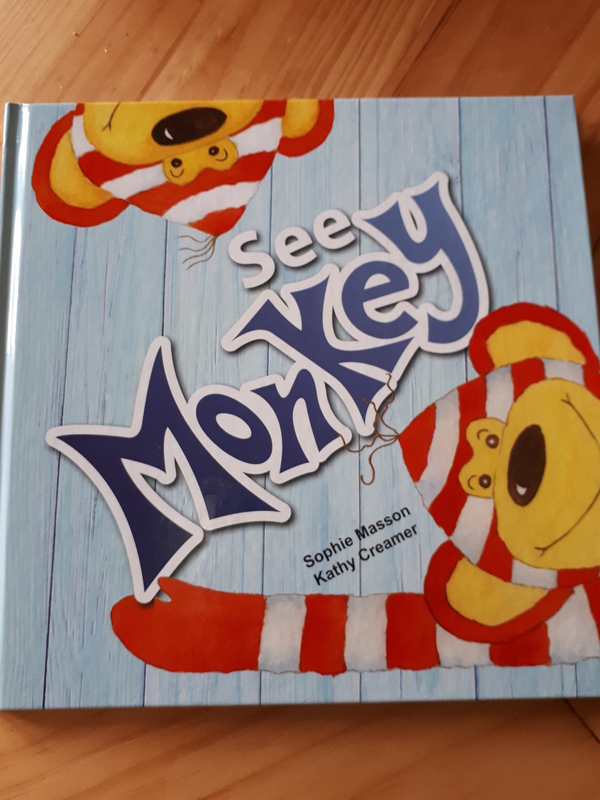 It was very exciting today to get my first advance copy of See Monkey, my picture book with Kathy Creamer, published by Little Pink Dog Books! It’s absolutely gorgeous! Will be out in the bookshops in two or three weeks, can’t wait!